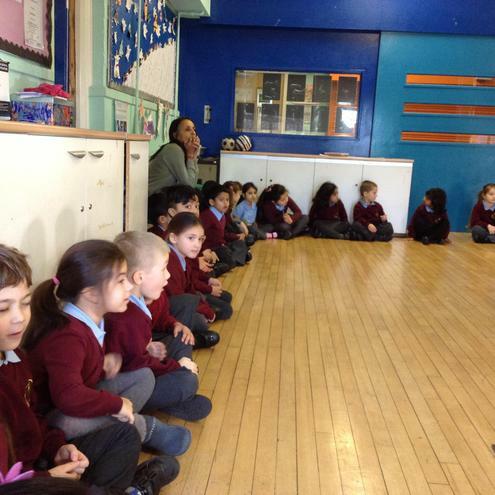 In Literacy, we have linked our writing to our foundation subject topic. 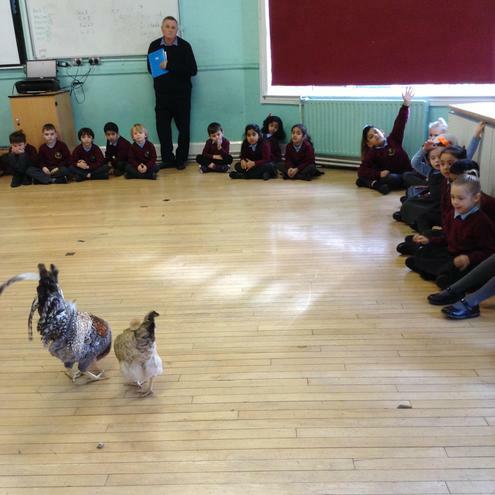 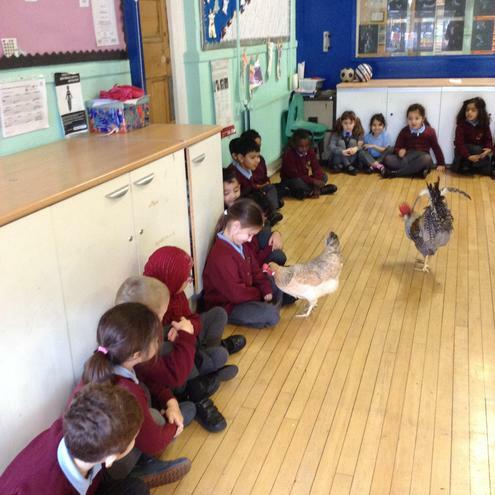 We have been looking at animals and pets and the children have been writing about which pet they would like the most. 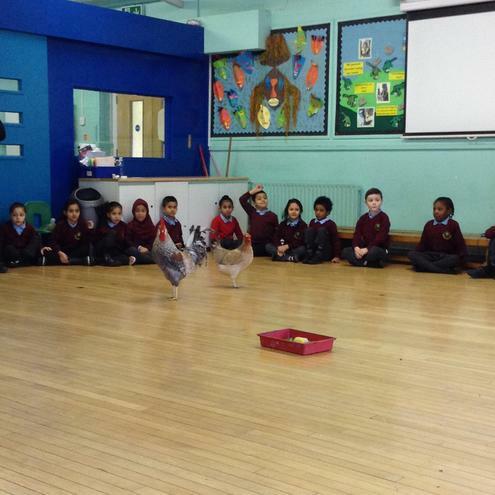 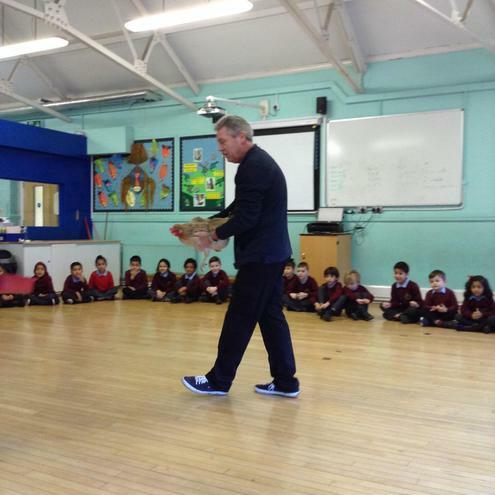 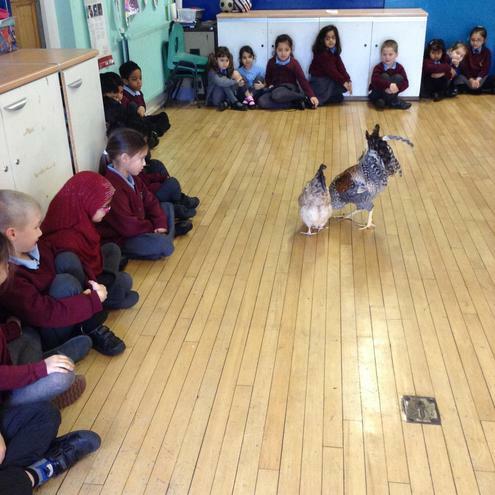 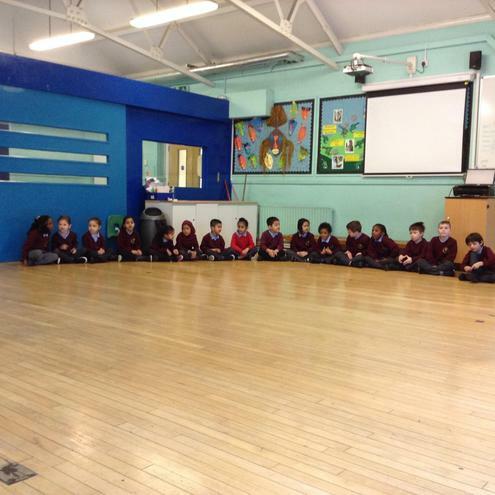 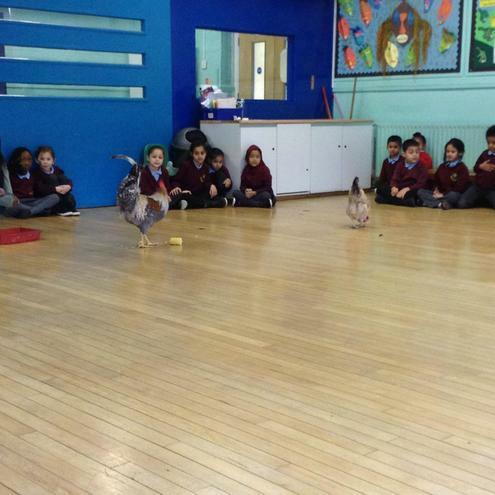 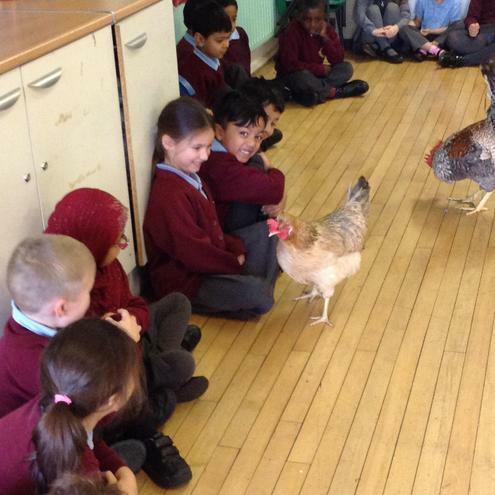 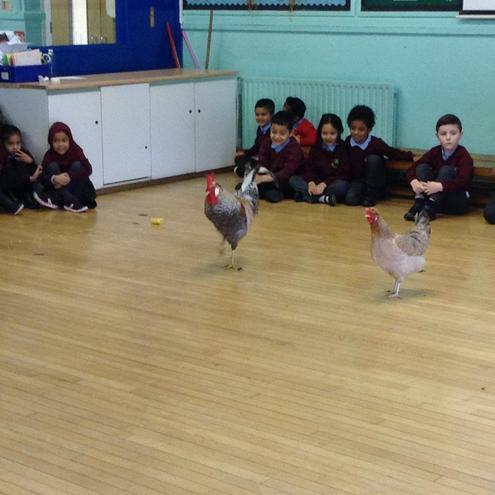 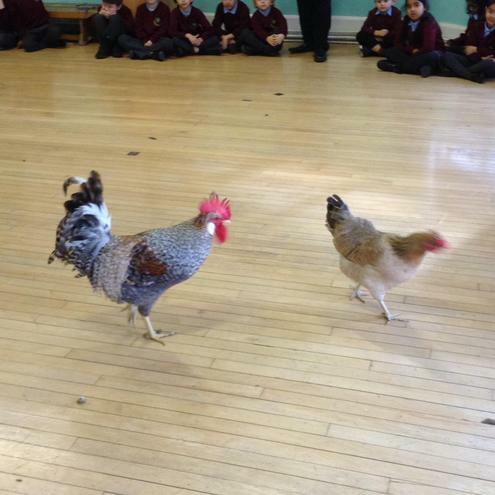 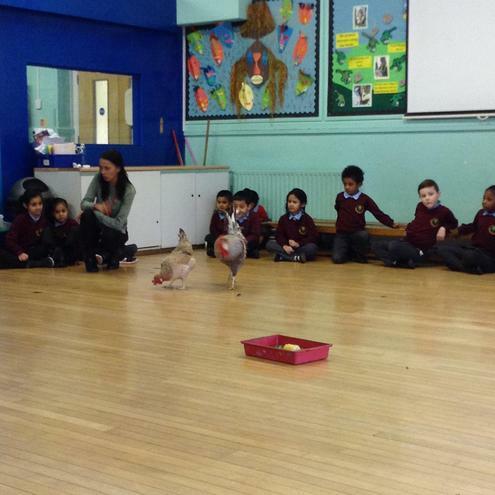 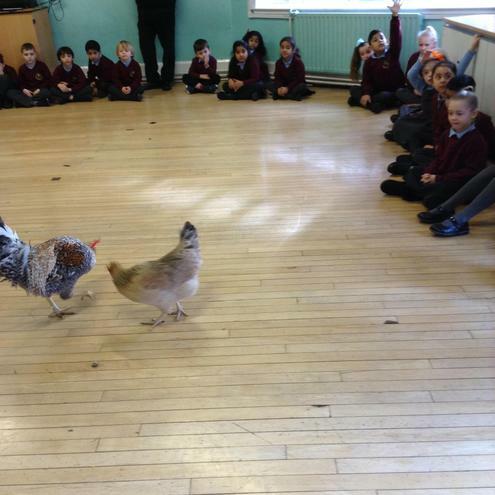 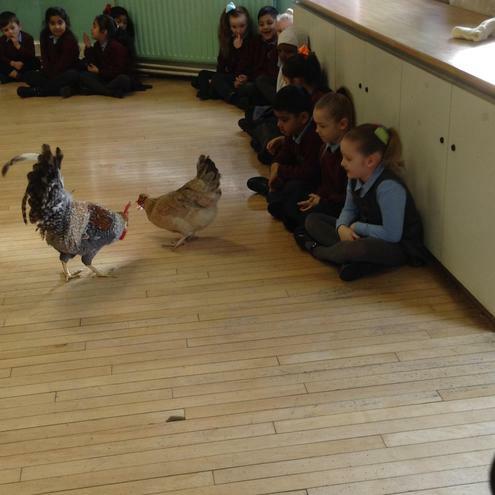 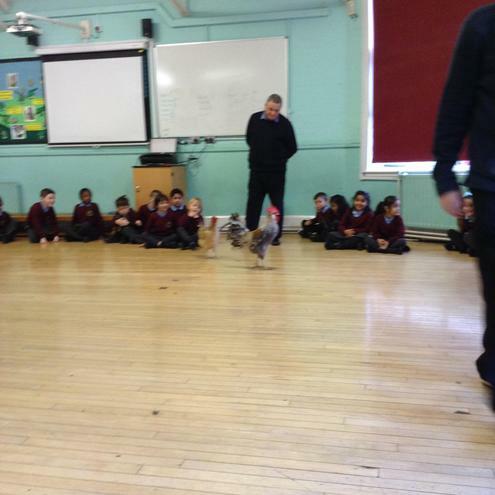 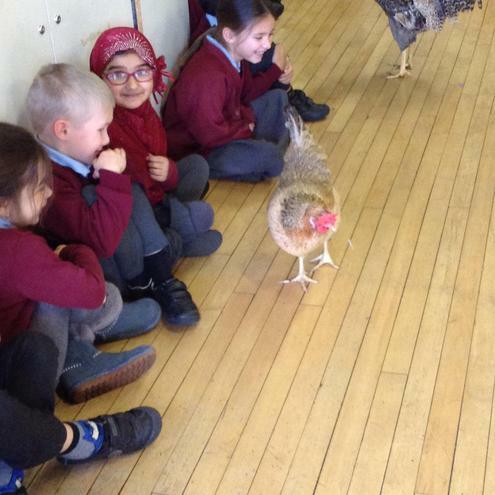 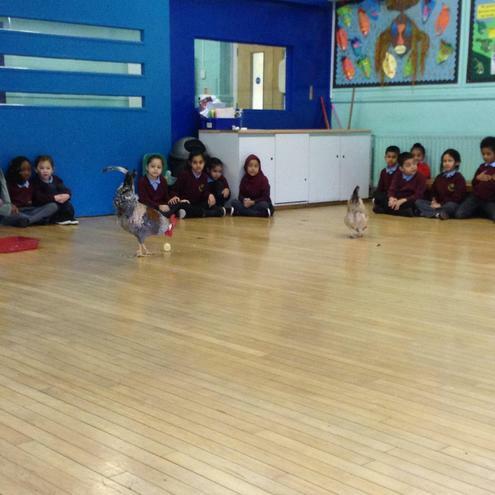 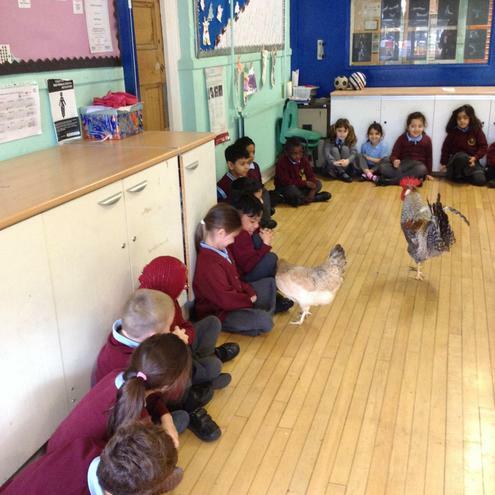 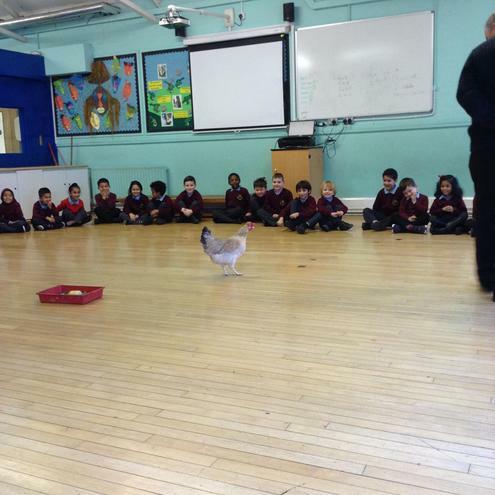 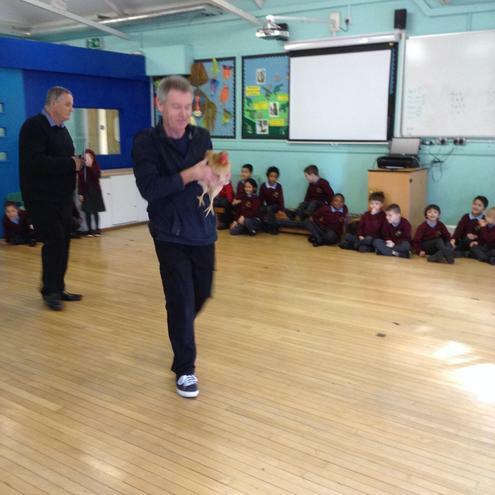 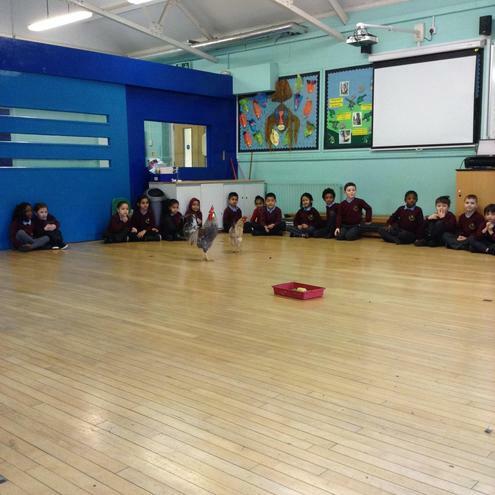 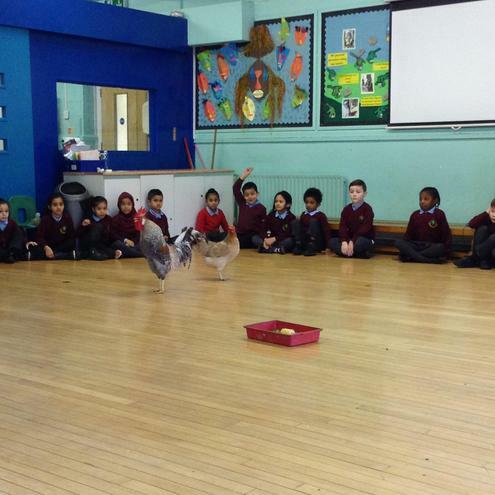 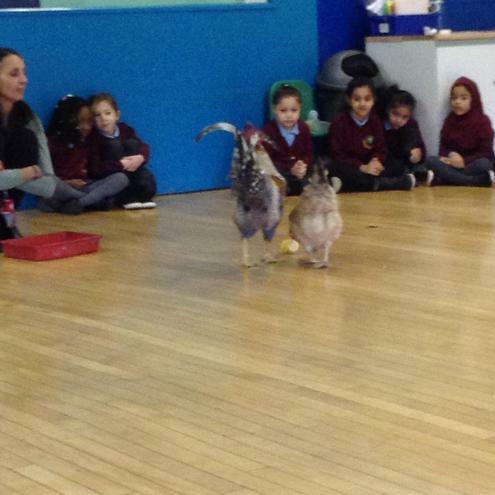 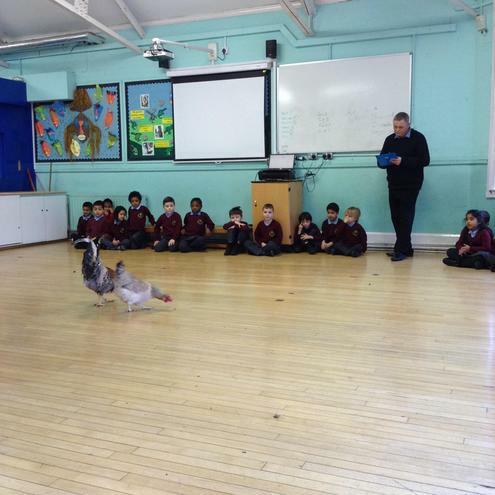 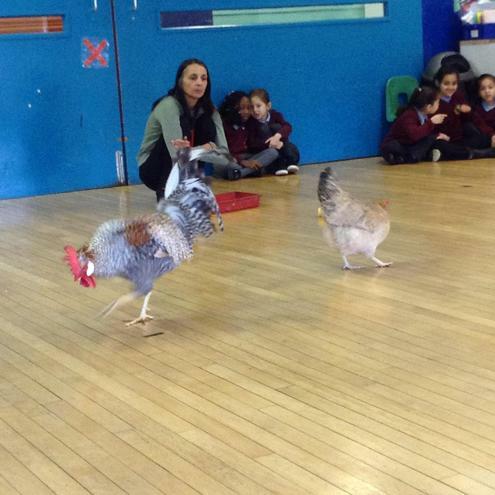 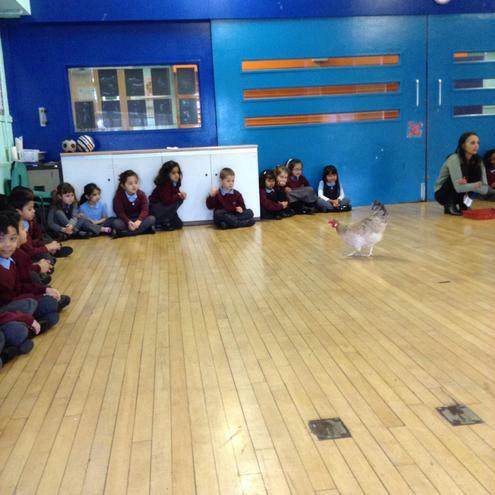 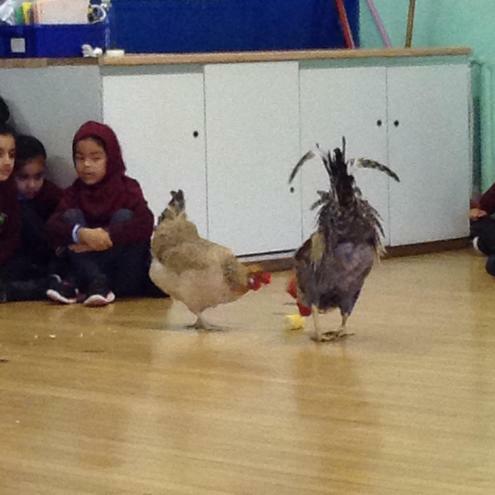 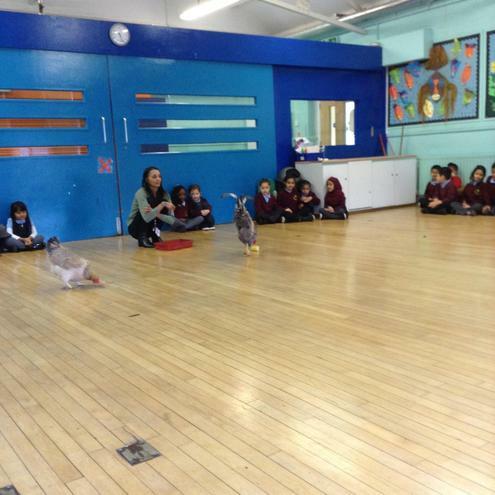 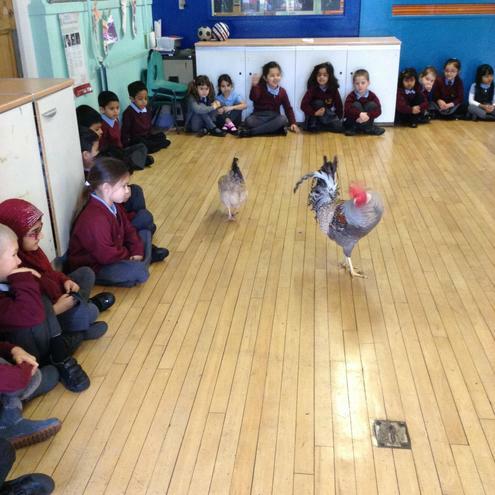 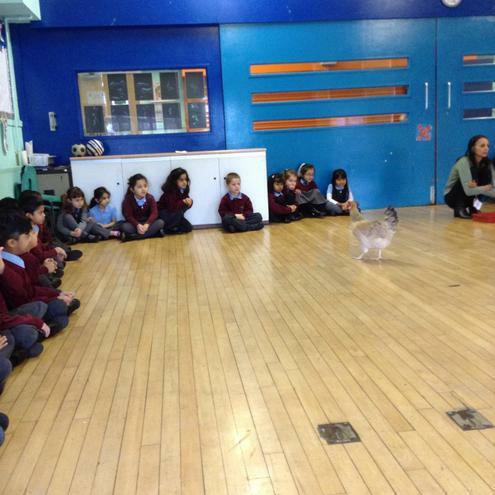 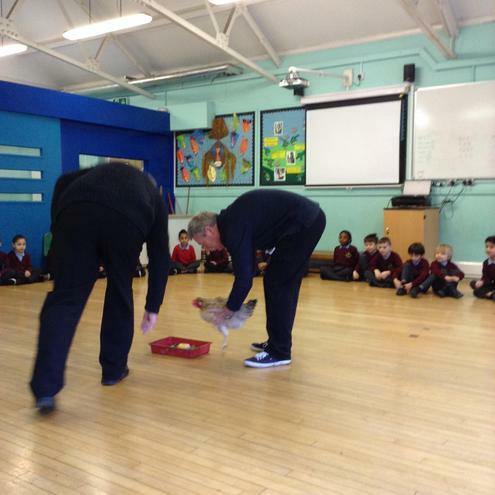 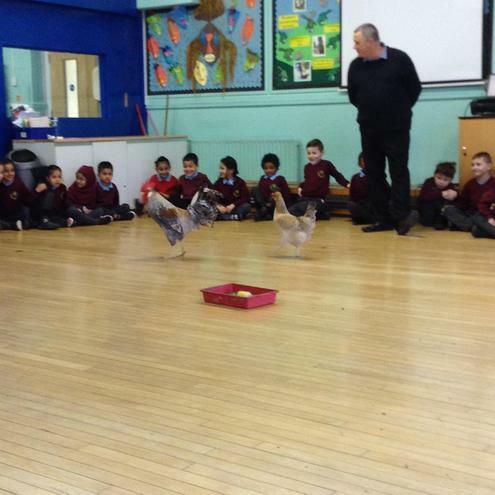 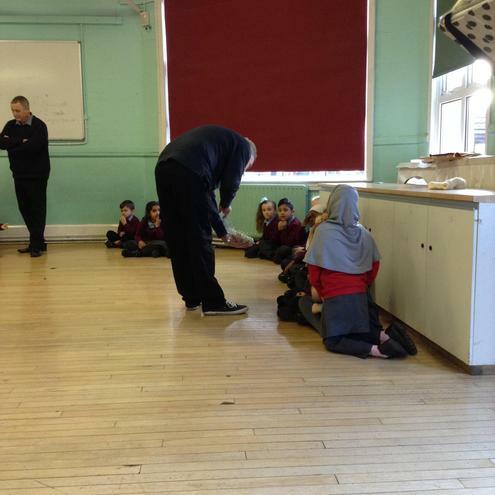 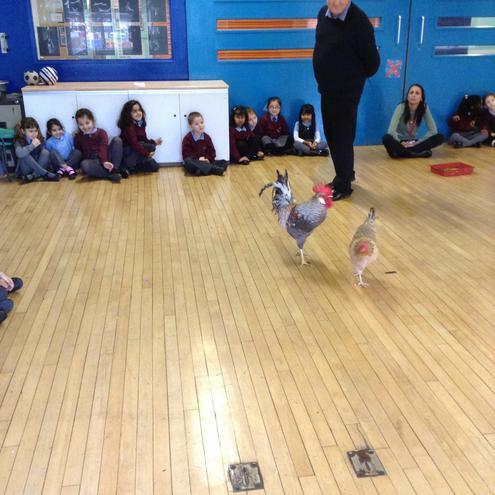 This week, Mr Allen visited us in the dining hall with our school cockerel and hen. 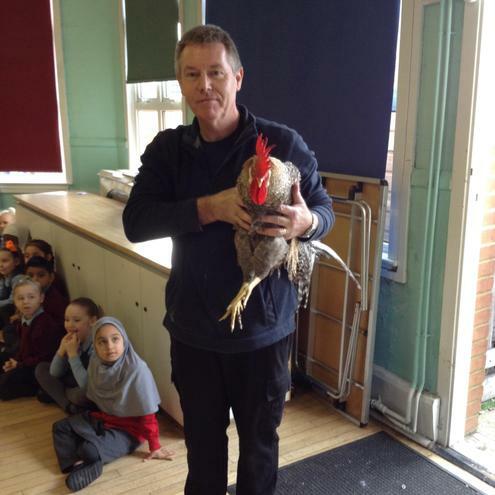 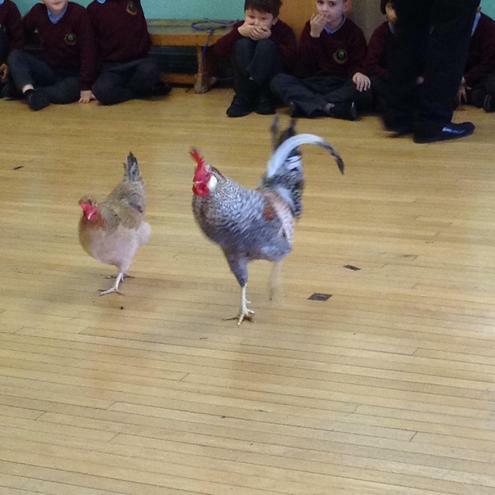 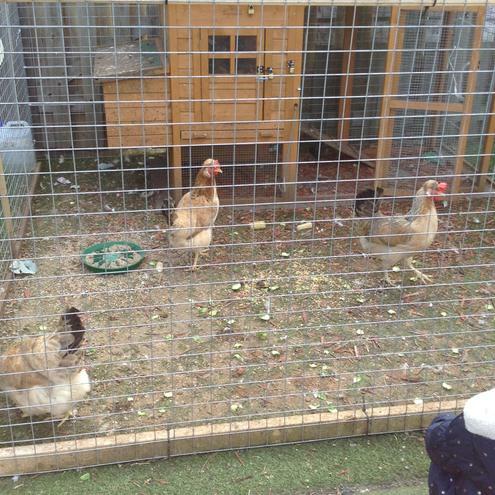 He gave the children a talk about how he looks after the school chickens and showed the children what food they eat, the eggs the hens lay, the chicken coop they live in, and also all about the body parts of both the cockerel and hen.